I am in love with this sweet dress! It is the cutest floral crochet lace bodice with a layered tulle skirt! The dress has a drop waist which makes this the perfect dress to wear over a petticoat for a fuller tutu like look! It is so so cute on!! Definitely a holiday favorite! If you remember an earlier Sunday Seven post I shared this adorable dress I bought for Stella. 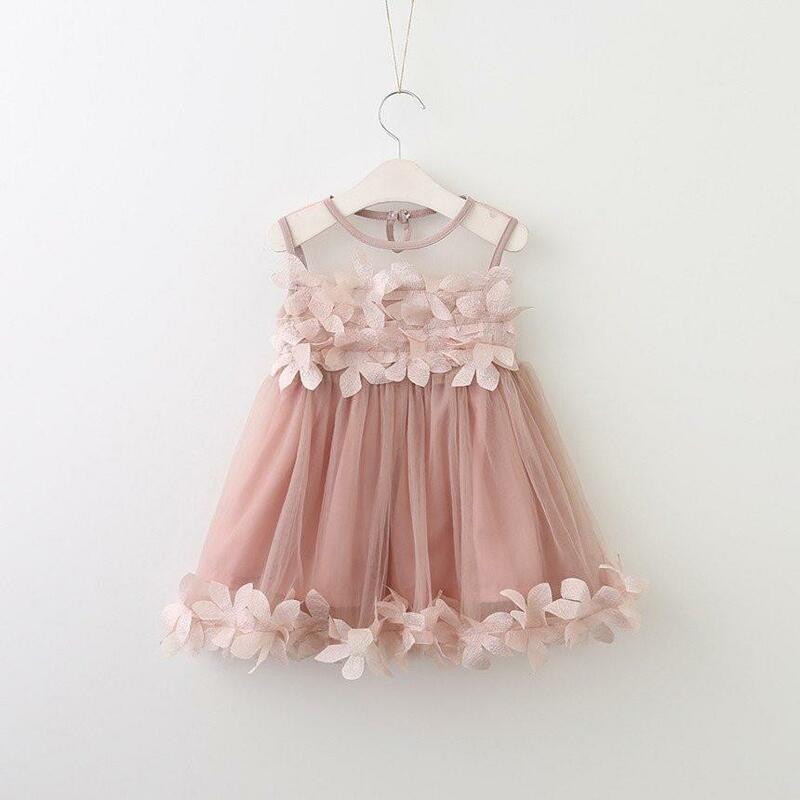 Unfortunately it has now sold out, but I am tagging a similar dress that is equally as adorable! I fell in love with the sweet dusty rose color of this dress and the Arielle dress has the same color and petal detail! 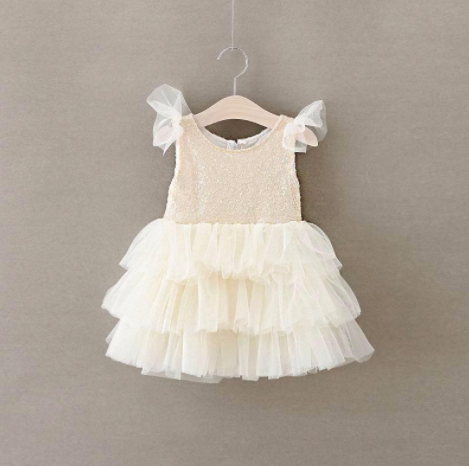 We plan on wearing our Aurora dress to The Nutcracker Ballet this December! 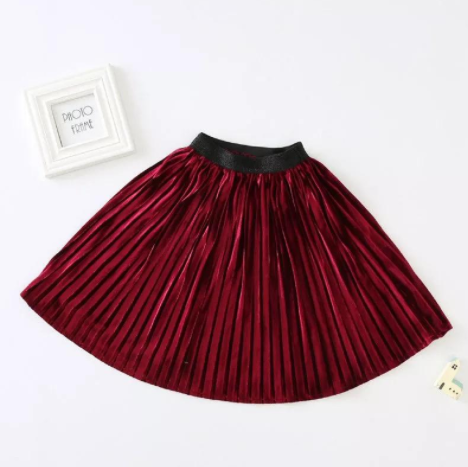 I love velvet for the holidays, and this scoop back tutu dress is the perfect shade of holiday red! I love this dress for photos with Santa or for Christmas Eve dinner! It is so soft, and I'm always a sucker for a tutu silhouette as Stella is obsessed with all things ballet currently! It's currently on sale for under $20 which makes it that much better!! I am still deciding whether or not I'm going to have time to throw a holiday party for Stella's friends this year, but if I do, the theme will be Nutcracker Ballerina, and this dress is at the top of my look ideas for Stella! I love the sweet flutter sleeve details and the tulle skirt! It has a whimsical look that reminds me of the snowflake ballerina! I saw this skirt and had to buy it! I bought it in burgundy, but I love the gold as well! We already have a velvet gold mini skirt, or I would've bought both!! It is seriously cute with accordian pleats and glittered waist band! I love this skirt with a cute tee for a cute casual holiday outfit!! What good is a cute holiday look without an equally cute coat? I'm truly obsessed with this soft pink and rose gold faux fur jacket from Peek! It's one of my favorite pieces this year!! Now, I just have to hope that it's actually cold this winter so she can wear it!